When Seething Flesh Golem attacks, deal damage equal to its power to all enemy creatures in this lane. 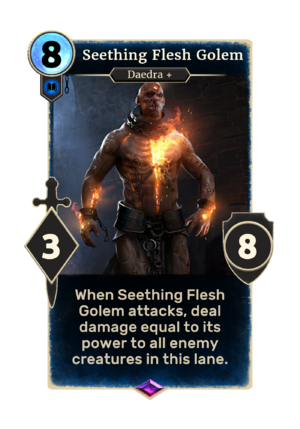 Seething Flesh Golem is an epic Intelligence creature card. It is part of the Isle of Madness story set.